The Whiskey King Blog: So what did you drink on Halloween? Even though it was Halloween (does that call for beer, blue tequila shots, or green concoctions?) 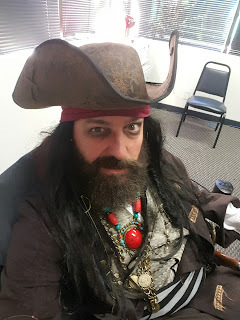 and even though I was pirating it up as Jack Sparrow (this definitely calls for rum! ), I was once again diving down the whiskey barrel. 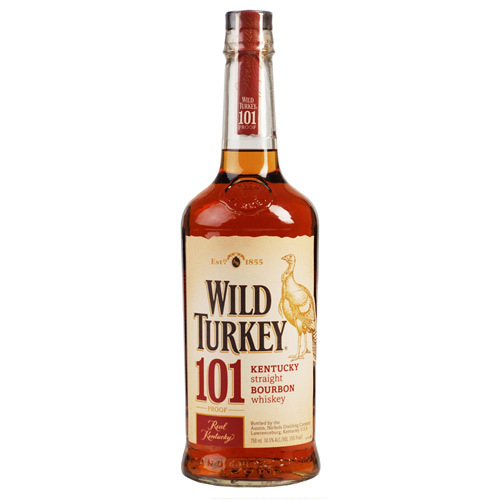 Wild Turkey 101, my go to bar whiskey! I know that when a bar has a small selection and no imagination, they will come through with this favorite. What’s that you say? 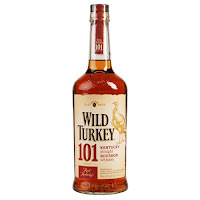 Why not Jack or Beam, let me tell you friend, the Wild Turkey products from top to bottom are solid bourbons, full of full flavors and subtle undertones that always please. Nope, this isn’t a commercial. I challenge you to conduct a taste test. Try out these bar standards and let me know what you think.